Home. They say it’s where the heart is. If that was the case, then my heart would be split and sent to all the way around the world. The first would be Horley, where my family are. Then there’s Germany, Milton Keynes, London, Winchester – all of these places are where my mates are. Then there is Austin, Texas, where there is a girl (when is there not…?). All of these places except the last is reachable for me. Money issues. The place I’m talking about today is the first: Horley. 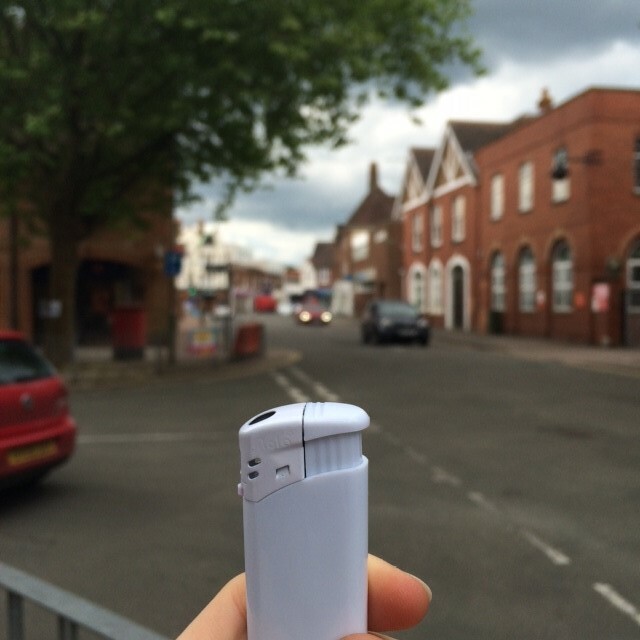 Horley is where I was raised and is thus the reason for the white lighter. I always feel at peace when I am here. Let me tell you, it’s a pain when someone asks me where I come from. No-one seems to know where Horley is. As a result I always have to say the closest ‘major’ town (despite the fact Horley is a town on its own), or a landmark that can help people get a better grasp on just where on the map Horley is. Crawley is this place, being just ten minutes away by car, and Gatwick Airport is literally just around the corner from where I live. Convenient if I ever need to travel to a distant land. It’s funny, really. I was born in Crawley and went to school in Crawley but I’ve never (or at least to my memory) lived there and, to be honest, you wouldn’t want to. It is the greyest, dullest, and add-any-other-dark-word-with-an-‘est’-to-describe-it location in the southern half of England. Okay, I may be overstating things, but that is just my honest opinion. It’s crap filled with angry yobs and ‘Rude Boi’ teens. Horley, on the other hand, is posh. You should see the size of the Waitrose. It is also perfect to live in – or at least, perfect for writers. It’s quiet and filled with cafes (including a Costa! Where is there not one?) for those who want to sit and people watch. I know I enjoy it. Because of the fact that it is right around the corner from the airport, hundreds of people make their way through Horley every day. As a result of this, there is an impossible amount of barber shops and hairdressers (six definitely on the high street) for those who want to look dapper before their flight. There is also a vast amount of estate agents, trying to get you to move into the town. So far I have counted seven. There is no shortage of pubs. My personal favourite is the Six Bells, located by the River Mole that flows through Horley. The food there can be great and again, it’s good for me as I love to sit there and write. There is a J D Wetherspoon’s and another pub known as The Foresters, which is the place to go to watch the sportsmen of our country fail at their selected sports, except the rugby team of course. Both of these places are pretty busy. There is a downside to The Foresters; as food is always on the go, it can lack in quality. But most of the other pubs in Horley are chains, so you can make your own decisions on that. Some of this may have painted Horley in a negative light, as the capital of barbers, estate agents and charity shops. However, what it lacks in excitement it makes up for in peacefulness (surprising, considering it is a ‘through town’). The nearby park is ma-ha-ssive! At least the size of three or four football fields. Laying down in a lovely day makes all one’s troubles go away. Temporarily at least. Corny but true. There is one major downside to it all: Because of the airport, it is never dark around here. You can’t see the stars most night. I already miss the starry nights at Winchester. Still, the light of Horley is far more attractive than the light of the surrounding areas. I love living here and should I get lost or should the road get dark, I can always rely on the white lighters of Horley to bring me back home.